Beijing is a place where the ancient world meets a modern-day metropolis, and United Airlines has the flights to experience this marvel. Beijing is vast in size and history. As the capital city of the People’s Republic of China, Beijing is also the second-largest city after Shanghai, so there is plenty to explore. 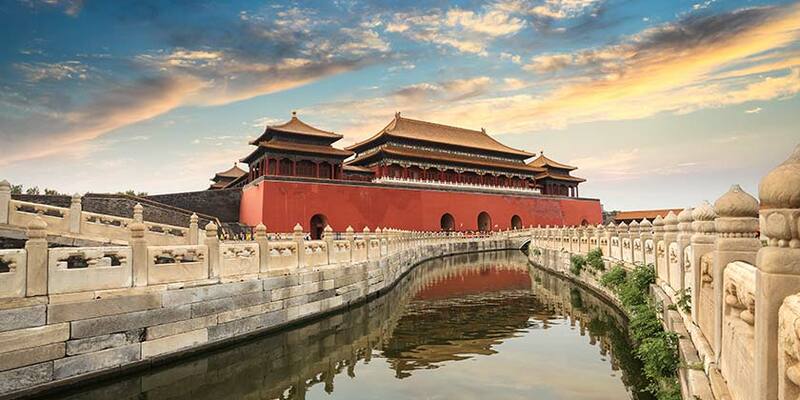 Wander and discover everything from the Forbidden City to the Great Wall and Beijing’s more modern skyscrapers and Olympicvenues. Learn about local traditions as you explore historic sites and dine on delicious cuisine. Take in the beautiful environment as you uncover the city. Your Beijing vacation is filled with history, culture, and lots of exploration. Feel the buzz of Tiananmen Square, the tranquility of the Temple of Heaven and the grandeur of the Forbidden City on this small group tour. See all the classic Beijing sights on a full-day sightseeing tour covering Tiananmen Square, the Forbidden City, the Summer Palace and Temple of Heaven. On this guided full-day trip, see Beijing's incredible modern architecture at the Olympic Park, the site of the 2008 Olympic Games. Resort info: Stay at Holiday Inn Central Plaza Beijing hotel for local flavour close to Beijing Financial Street. Resort info: Enjoy a quiet yet central location close to the Forbidden City at Holiday Inn Express Beijing Temple Of Heaven. Resort info: Located within walking distance to Olympic greens, Bird Nest National Stadium and Water Cube Aquatic Center. Resort info: Relax in the peaceful surroundings of Holiday Inn Express Beijing Dongzhimen, minutes from the city centre.